As of late, Dark Tourism, known academically as thanatourism (Greek for death travel) has received much media and scholarly attention. The term was coined by Profs John Lennon and Malcolm Foley of Glasgow Caledonian University in 1996, subsequently establishing the field of study. Since then scholars have analyzed and scrutinized any exhibition or setting, contemporary or ancient, which attracts onlookers to sites associated with the macabre. From Graceland to Katrina, from ground-zero to the Jack the Ripper tours, all have undergone repeated analysis in hopes of understanding tourist motivation and moral consequences. More recently, the cannibal tours of Papua New Guinea have caused moral debate. In Deborah McLaren’s book “Rethinking Tourism and Ecotravel,” she quotes a tour operator who said “Tribal tourism isn’t exploiting anyone, in part because the tribes are accepting money. We want the people to maintain their culture. That is what sells Papua New Guinea.” McLaren discusses the elaborate funeral processions in Indonesia, which attract thousands of tourists a year. She quotes locals who say many tourists steal cultural relics and burial gifts, one woman claiming that “they stole my mother’s soul,” which was previously transferred to a wooden artifact. The reason for mentioning these rather dramatic instances is to illustrate that exploitation occurs, as Foley and Lennon stated in their book concerning dark tourism, when tact and taste do not “prevail over economic considerations.” The blame for these transgressions cannot lie solely on the shoulders of the proprietors, but also upon those of the tourists, for without their demand there would be no need to supply. Many scholars state that it is the motivation behind exhibiting these sites that partially dictates whether they are exploitative or not. 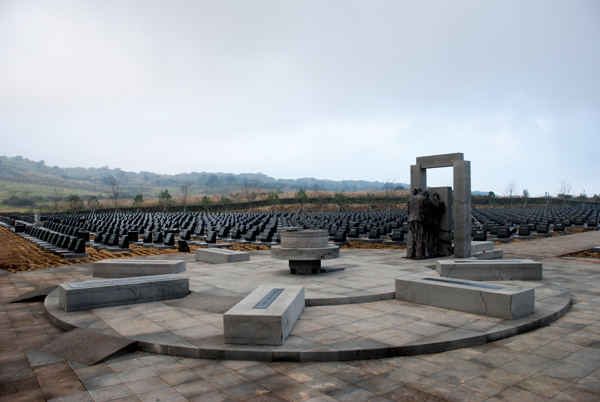 On Jeju, the recent push to promote dark tourism may seem questionable and mainly concerned with trying to lure more travelers to the isle’s shores, but it is more complicated than that. The two major periods in Jeju’s history that created these current sites of tourism, the April 3 Massacre and the Japanese occupation of the island, have been shrouded in mystery, denial and shame. For decades the Jeju people, as well as the Jeju government, did not want to address these issues and doing so was considered taboo to say the least. Kim Chang Hoo of the Jeju 4.3 Research Institute said that the impetus behind promoting these horrific episodes of Jeju’s history was an act of appropriation, to transform and commemorate what was once deemed unmentionable. “We want to get over these painful feelings, for it to become part of our lives and for us to move on,” he said. Kim said the initiative to promote these historical sites as tourist destinations occurred approximately 10 years ago, though with little success. Only after Jeju gained self-governing status in 2006 did he begin to see progress. He added that that the preservation and, more importantly, the acceptance and dissemination of information about what occurred have become more vital as the number of Jeju natives dwindle. This notion of appropriation, education and acceptance seems to be a common catalyst behind Jeju’s dark tourism. 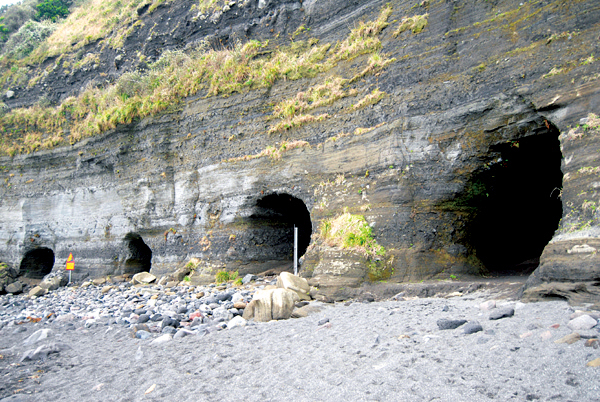 Lee Young Geun, founder and chief of the Jeju Peace Museum on Gamma Oreum, took it upon himself to restore and run the Gamma Oreum tunnels, dug by the forced labor of Jeju natives during the Japanese occupation. Lee said the government did not want to be connected with the atrocity and he funded the entire operation (including restoration of the tunnels and building of the museum) through private bank loans. As mentioned in a previous article dedicated to the tunnels, Lee wishes to create peace and prosperity between the two countries through the acceptance of what has occurred in the past. The Japanese government still has not apologized for its occupation. Though Kim and Lee both have their own agendas concerning the merits of promoting dark tourism on Jeju, their motivations do not appear to be financial. Gamma Oreum and the Jeju Peace Museum have entry fees, but it goes towards restoration, Lee said, and the literature on the subject does not condemn sites of dark tourism for being self-sustainable. Singh wrote of a theory that states there are two types of people in the world; those who admit being fascinated by thanatourism and those who are, but deny it. Traffic slows to a crawl in hopes of stealing a guilty glimpse of an accident, cinema-goers flock to see the latest gory picture, children crowd over the corpse of a bird. Possibly it’s cathartic, or perhaps humans are inherently attracted to the uncanny, or it’s simply the urge to know what lies before us all. There is no definite answer. What is known is that there is a fine line between an attraction being educational or exploitative and each and every site can be argued from either perspective. But there is a difference between selling t-shirts at ground zero and guiding tours through Auschwitz, though the latter has also attracted criticism. And there is a difference between bikini-clad tourists overlooking a tribal funeral and solemn vacationers visiting the Vietnam War memorial. What defines a destination of dark tourism is not dictated solely by its operators, but also by those who visit.